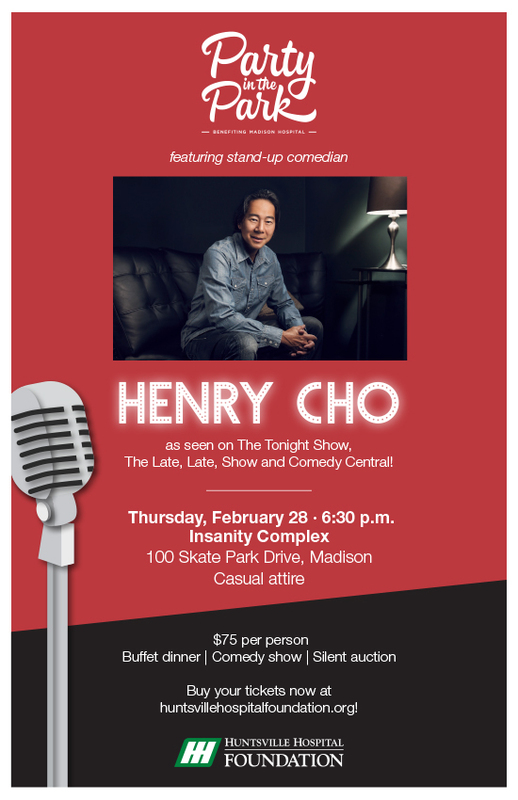 This year’s Party in the Park will include a buffet dinner, silent auction and a live show featuring stand-up comedian Henry Cho. Cho has appeared on NBC’s The Tonight Show, CBS’s The Late, Late, Show and NBC’s Young Comedians Special. Guests will laugh the night away while raising money for a new MRI-compatible Anesthesia System for Madison Hospital. For sponsorship opportunities, please contact Cheryl Geiger at cheryl.geiger@hhsys.org or (256) 265-8077. Must be 21+ to attend. Tickets will not be sold at the door.